Ear or sinus infections, hearing aids, allergy attacks, tonsillitis—all aggravating ailments that drive many to their doctor’s office every year. They’re also the bread and butter of the Ear Nose & Throat Institute, a Georgia-based chain of clinics that have developed their own array of treatment services, adopting lower prices and slimmer margins to attract customers since 2011. With 11 locations in the Atlanta area and one in Mississippi, as well as 200 employees, the organization – which goes by the acronym ENT Institute – is expecting to close out 2018 having generated about $26 million in revenue and having seen about 100,000 patients this year. 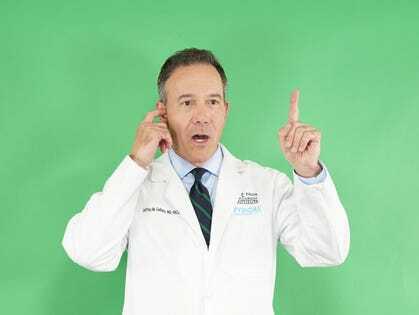 The entire operation is owned and operated by Dr. Jeffrey Gallups—once a full-time practicing physician who has largely set aside his stethoscope to oversee the organization as an entrepreneur. ENT Institute once had five owners—five doctors, including Gallups, who ran five locations among them and held an equal share in the business. Then in 2010, with the advent of the Affordable Care Act, it seemed that healthcare reimbursement practices would change from a system in which Medicare patients paid for every doctor’s visit to one where the outcome of a Medicare patient’s treatment dictated reimbursement. The answer to surviving under the new protocol meant ENT had to grow by adding more practitioners and staff—and getting more patients in the door. The first step to growth, Gallups figured, was to establish an agile central leader of the company as opposed to sharing leadership among five people. So he bought out his four partners for an undisclosed sum and made them his employees, arranging the deal so that they could receive the same income and retain management control of their respective locations. “They were doing well financially and they didn’t have to answer to anybody but me,” says Gallups. Once alone at the helm, Gallups added more locations. Over the years, he estimates, he’s borrowed about $7 million from local banks to acquire new clinics and develop new services, such as in-house surgical facilities. About two years after taking control, he stopped practicing medicine to concentrate on managing the company. There are also practical cost-savings that ENT enjoys in comparison to hospitals, such as maintaining an eight-hour workday – as opposed to being open all day and night – and not having money-losing services like emergency rooms. Had Gallups not bought out his partners, he predicts the organization would today be in contract with a hospital. But that route would have meant ENT would have had to rely on its hospital-partner to provide business and would not have been able to be the master of its own fate. “I go direct to the patients themselves,” he says with satisfaction. Just weeks left to submit nominations for the 2019 Forbes Small Giants list! Nominations close Jan. 31, 2019. Please submit using the application here. Read more about pivotal moments here. And to find out more about Small Giants, please visit www.smallgiants.org.